On her facebook page, Princess Madeleine of Sweden published a photo and a message in the name of her son Prince Nicolas. 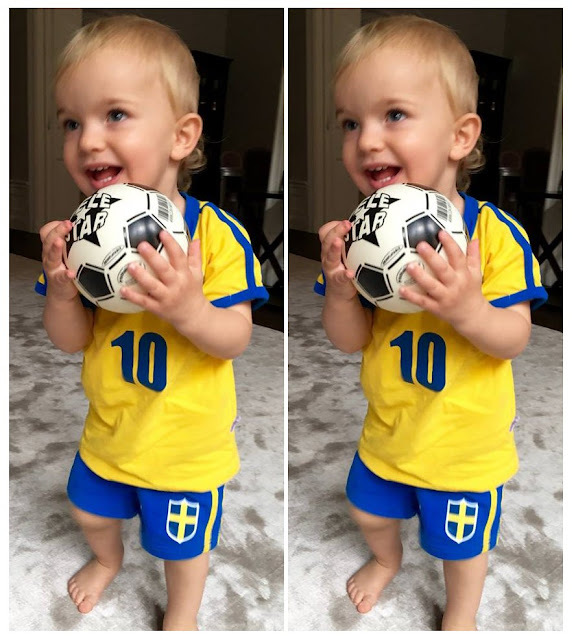 In the photo, Prince Nicolas wearing Swedish National football team uniform and holding a soccer ball in his hands published the message "Nicolas wishes the Swedish football team all the best for tonight's gold medal match! #GoSweden". wat een leuk ventje !!! What a beautiful little todler. Good combinations of mother and father. What a little happy chappy. Great photos and the prince is a cutie, actually a beautiful little boy.